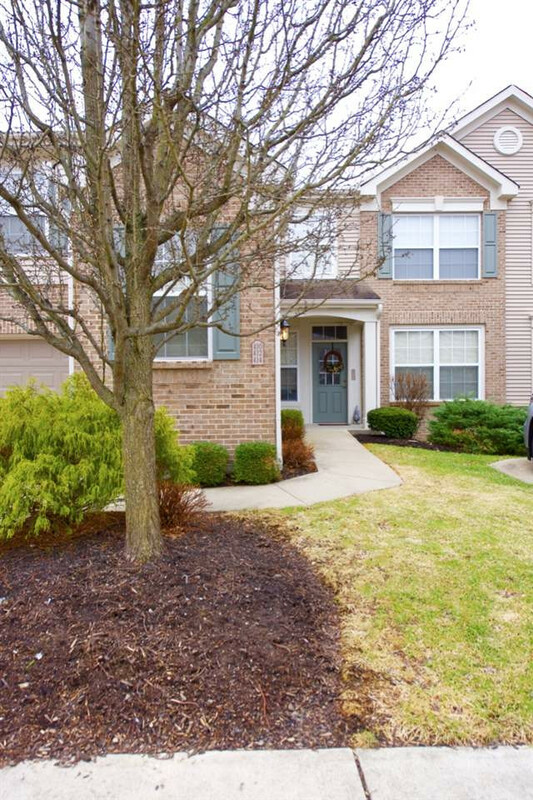 Rt 8 west to L into Rivers Breeze to L on Breezewood Ct.
Don't miss your opportunity to own this beautiful Condo in the Rivers Breeze community. All major appliances, including stainless steel kitchen appliances, HVAC and Water heater have been replaced, along with fresh paint and new carpet. With the high ceilings and walk out to a nice patio and yard, there is absolutely nothing to do but move in. In the warmer weather you can enjoy the pool and walking trails. This condo will not last long, schedule your appointment today! NOTE: This property was sold on 4/5/2019 and is no longer available. The details listed below are believed accurate to the date of the sale and are subject to change. Ludlow was once home to Lagoon Amusement Park, a major recreational center for the Greater Cincinnati area between 1895 and 1920. After its closing, part of the Lagoon property was developed as a residential neighborhood. Today parts of Lake Street, Laurel, Stokesay, Deverill and Ludford were built on its site. Ludlow, situated in north central Kenton County, is often thought of as a suburb of Covington, Kentucky. The city is bordered on the north by the Ohio River, on the east by Covington, and shares its southern border with Fort Wright. With its easy access to the riverfront and I-75, it has become a bedroom community for many who work across the river. The city, like many other small towns, experienced a baby boom following World War II, but today Ludlow is known for its close-knit neighborhoods. There are 4,400 residents. One finds many types of homes in Ludlow. From newly built condominiums with sweeping river views to older homes with character, there are a wide variety of styles and prices in housing options. Less than five minutes from downtown Cincinnati off easily accessible I-75, it’s easy to get around in Ludlow. Meandering Kentucky Route 8 (Elm Street or Highway Avenue) is the main access to the city, linking it to Bromley on the west and Covington to the east. St. Rt. 1072 (or Sleepy Hollow Rd) offers easy access to the city. The Transit Authority of Northern Kentucky (TANK) provides bus service through the region and into downtown Cincinnati. Greater Cincinnati Northern Kentucky International Airport is nearby at a close 14 miles. Several Northern Kentucky hospitals and their branches, St. Elizabeth and St. Elizabeth, are within a few minutes driving. The Ludlow Volunteer Fire provides EMS service to the area. For everyday needs, Ludlow has many options from locally owned and nationally branded stores and shops. Most residents patronize other Kenton County communities of Covington, Villa Hills, Ft. Mitchell or Crescent Springs to do their daily shopping. Downtown Cincinnati and several local shopping malls offer more extensive shopping within a 15-minute drive. Riverfront access allows boaters and fishing enthusiasts easy access to the Ohio River. Numerous festivals and outdoor events each summer weekend provide an endless supply of outdoor activities in nearby Cincinnati, Covington and Newport riverfronts. The city hosts an annual yard sale, a Memorial Day parade and a Holidays Shop Day (in support of local businesses).